Aggregate Information We Collect From time to time, we also may collect general, non-personal, statistical information about the use of the Site, such as visitors' IP addresses, how many visitors visit a specific page on the Site, how long visitors stay on that page, and which hyperlinks, if any, visitors "click" on. We collect this information in order to determine which areas of the Site are most popular and to enhance the Site for visitors. We may also group this information into aggregate visitor data in order to describe the use of the Site to our existing or potential business partners, sponsors, advertisers or other third parties, or in response to a government request. However, please be assured that this aggregate data will in no way personally identify you or any other visitors to the Site. An IP address is a number that's automatically assigned to your computer whenever you're surfing the Web, and can be used to identify your computer. However, when we collect IP addresses, we do so only in an aggregate fashion and not in a way that will identify you personally. Personally Identifying Information We Collect In order to access certain information and features contained on the Site, we may require you to register for an account on the Site or otherwise provide us with personally identifying information ("PII"). The categories of PII we collect may include, without limitation, your first and last name, email address, mailing address, phone and fax numbers, and general information about you. 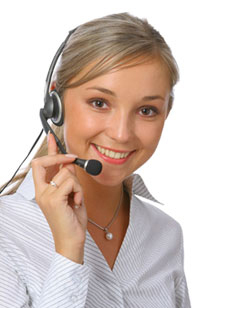 We may also collect any other information you provide us voluntarily or through your electronic communications with us. We collect PII in order to fulfill our services to you and to ensure compliance with our policies and applicable law. We also may use your PII to process requested transactions, customize the services we provide to you and send you periodic communications by email or regular mail. For example, we may ask for your feedback regarding the Site or provide you with promotional or other special offers. Disclosure of Personally Identifying Information We may sometimes disclose your PII to our third-party business partners in order to allow them to perform certain services for us, such as, for example, delivering our products, sending postal mail and providing marketing assistance and data analysis. We may also share your PII with other selected companies from time to time. In addition, we may sometimes share your PII with other companies within our family of companies, and they may send you periodic communications that we believe will be of interest to you. If you prefer not to receive such communications from us, you can email us to request removal from our list. As we develop, we may buy other businesses or their assets or sell our business assets. Customer information is generally one of the business assets involved in such transactions. Thus, in the event that we or all of our assets are acquired, customer information would be one of the transferred assets. Finally, we reserve the right to disclose visitor information to applicable authorities in special cases when we have reason to believe that disclosing this information is necessary to identify, contact or bring legal action against someone who may be causing injury to or interference with (either intentionally or unintentionally) our rights or property, other visitors, or anyone else that could be harmed by such activities. This includes our right to exchange information with other organizations in order to protect against fraud and to reduce credit risk. We also reserve the right to disclose visitor information to applicable authorities when we believe in good faith that the law requires it. Security Protecting the security of your personal information is very important to us. If you register with us, your online account information is protected by a password chosen by you. Access to that online account requires your username and password. We recommend that you do not disclose your username and password to any other person. When you transmit PII from your PC to our servers, your information also is protected by both a “firewall” intrusion detection system (a combination of computer hardware and software that helps keep unauthorized visitors from accessing information within our computer network) and, in certain circumstances, industry standard SSL (secure socket layer) encryption. Once we receive your transmission, we will take reasonable precautions to ensure its security on our systems using physical, electronic and procedural safeguards. Unfortunately, no data transmission over the Internet can be guaranteed to be 100% secure. As a result, while we strive to protect your personal information and privacy, we cannot guarantee or warrant the security of any information you disclose or transmit to us online and cannot be responsible for the theft, destruction, or inadvertent disclosure of your personal information. Copyright 2011 orchid florist. All rights reserved. Present we are not processing any orders. Bare with us.